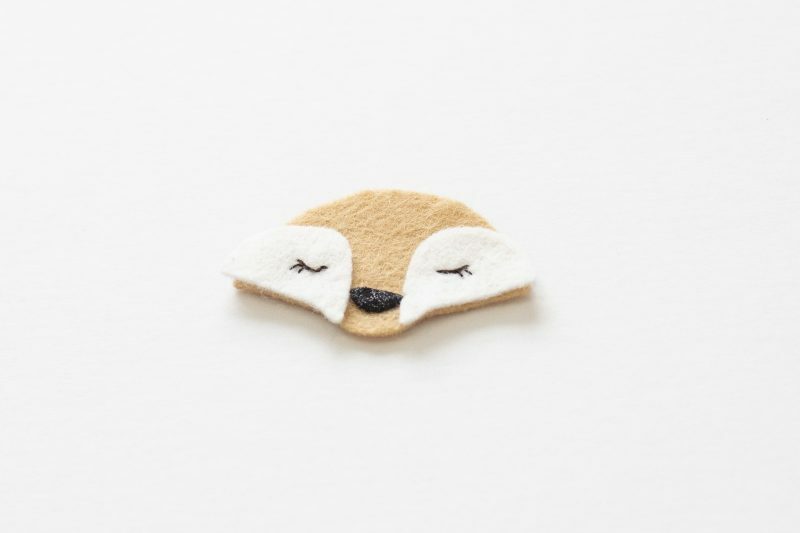 Transform your fabric scraps into this adorable brooch and personalise it to your own tastes. 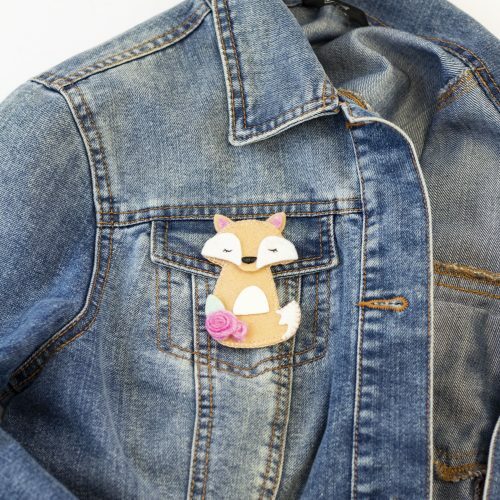 You can get most of the supplies for this project with the Gemini Woodland Embellishment Kit designed to coordinate perfectly with the Miniature Friends dies to create brooches, key rings and more! Die-cut one tummy from the white glitter fabric. Cut two circles: one the size of a £2 coin and one the size of a five pence piece. Prepare your fabric pieces as instructed in the fabric preparation guide above. 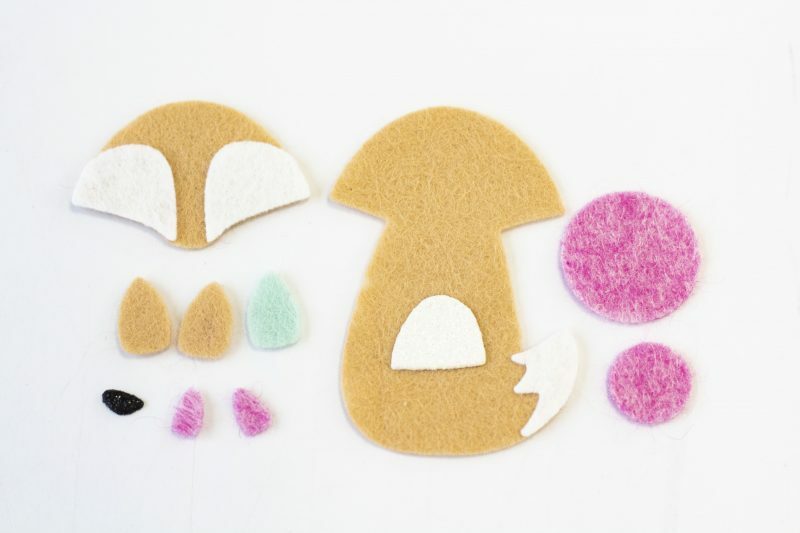 Adhere the white cheeks to the head of the fox and the pink inner ears to the large tan ears. Also, adhere the white tail and tummy pieces onto one of the body pieces – the tummy sits just above where her tail curls around. On the white cheeks, stitch closed eyes. 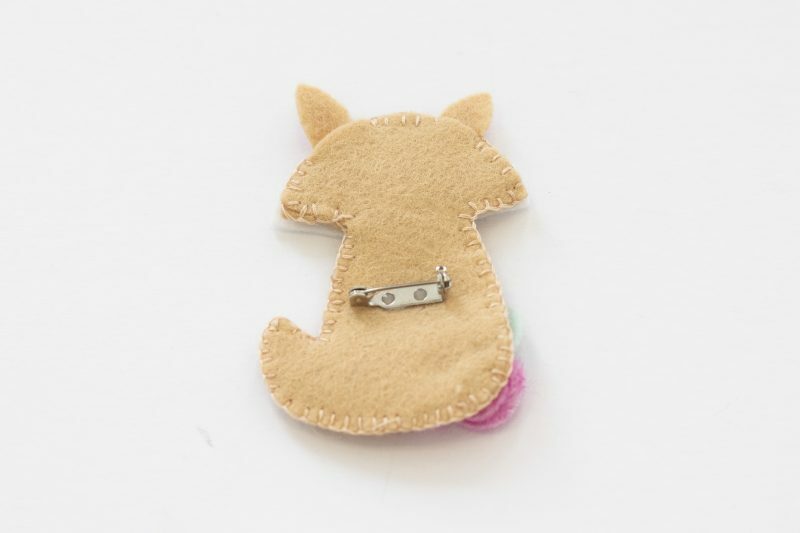 Two strands of dark brown embroidery floss is ideal, and use either a stem stitch or backstitch as they’re delicate enough to showcase the shape and eyelashes. Adhere the glitter nose in between two cheeks. 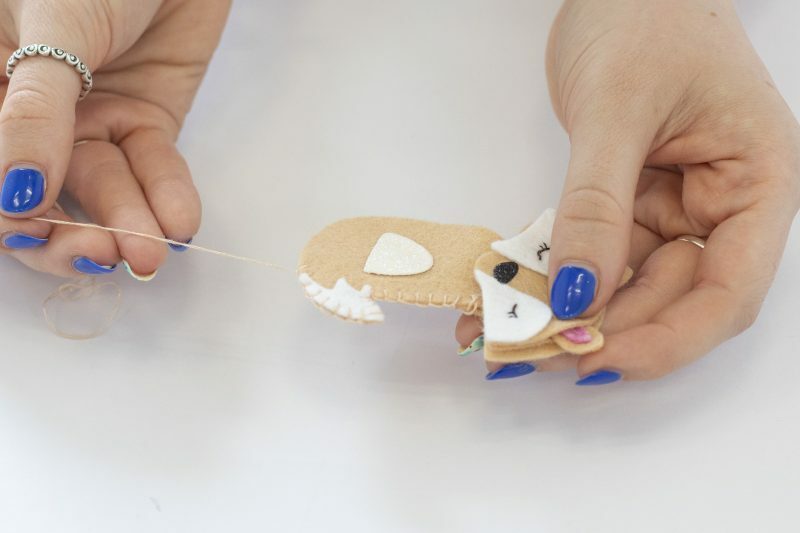 Place the embellished body onto the plain body to add a bit more structure. Starting at her right shoulder, blanket stitch around the edges using two strands of tan floss. Position her head, sandwiching the ears in between and continue to stitch around the edges. We avoided stitching the cheeks, but just angled our stitches so the felt behind was stitched together. Likewise, we carefully avoided stitching all the way through her ears. 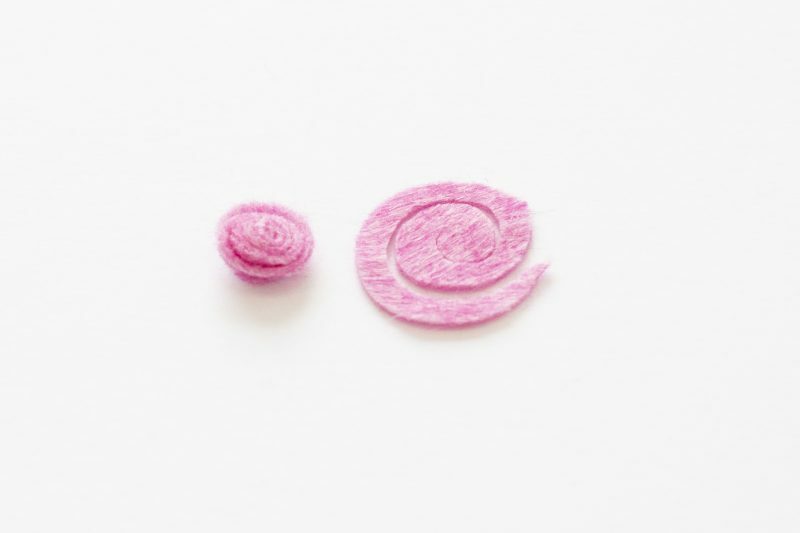 Take a pink circle and roughly cut a spiral into it – it doesn’t need to be neat. Then, starting on the outside edge, roll the rose up, and sew some stitches at the base to hold its shape. Make a second slightly smaller rose. 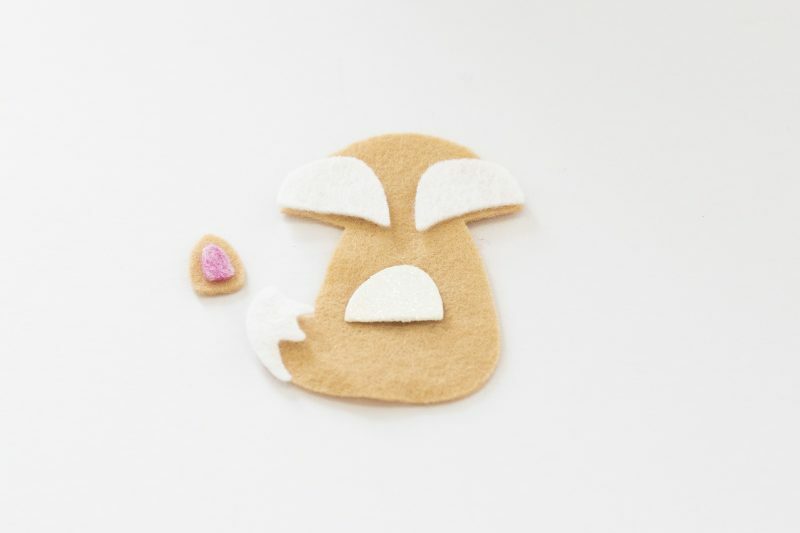 Sew these onto the fox, and tuck the leaf (cut from the ear shape) beside this. If you have a sew-in brooch back, stitch it centrally on the back of the body. 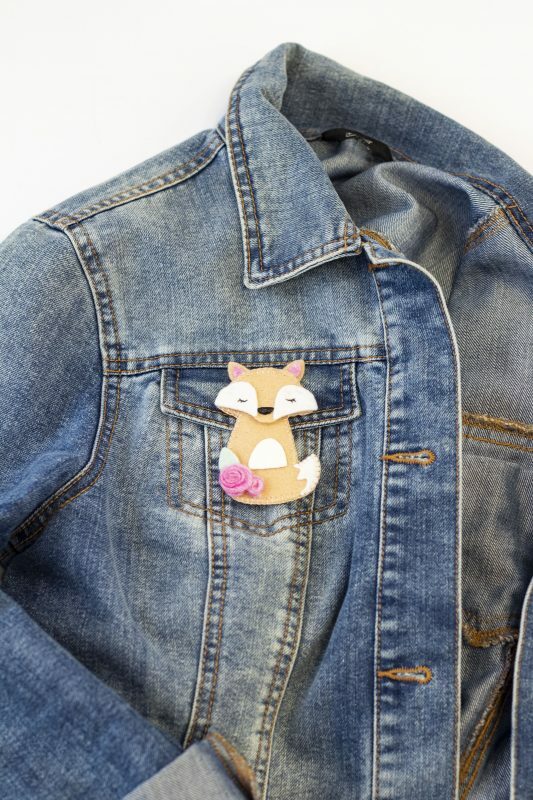 A glue-in brooch back can be attached to the same place using either a textile glue or a hot glue gun.